“I’m praying that, out of the riches of his glory, he’ll powerfully strengthen you through his Spirit in your deepest self. 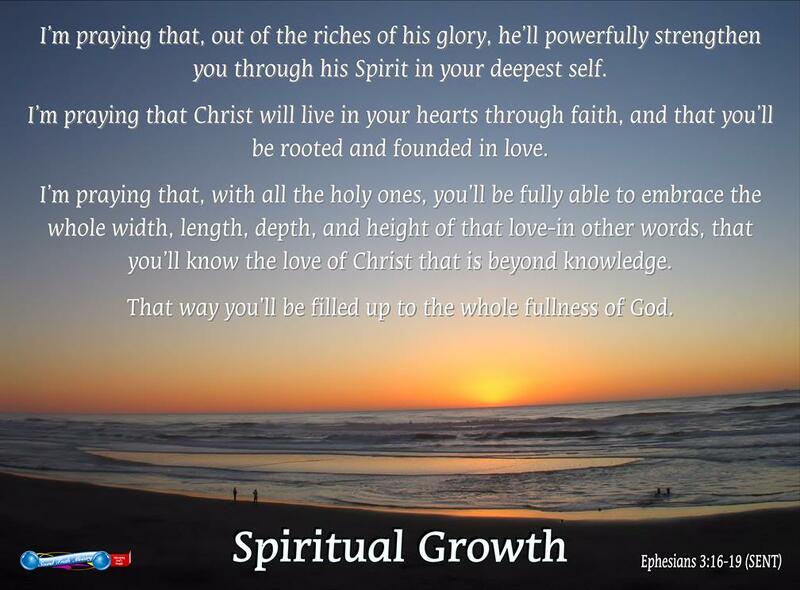 I’m praying that Christ will live in your hearts through faith, and that you’ll be rooted and founded in love. I’m praying that, with all the holy ones, you’ll be fully able to embrace the whole width, length, depth, and height of that love-in other words, that you’ll know the love of Christ that is beyond knowledge. Giving thanks to the Father, who has made us qualified to be partakers of the inheritance of the saints in light. He has delivered us from the dominion of darkness, and has transferred us into the kingdom of his dear Son: In whom we have redemption, the forgiveness of sins.’ from Colossians 1:9-14 (read Colossians 1:9-18). Why pay for something that should be free? Do you feel like you have to pay to learn about God? “Buy my new book, DVD series, sermon…“. “Join us at our next conference for only $$$“. Or “become a partner” by donating…” “Don’t rob God…pay your tithe” – [a horrible misuse of Malachi 3:6-12 (I had better leave that one alone for NOW but will address it when led to)]. A shameful article ‘How to Make Money Selling God’s Stuff‘. Are you tired of the gimmicks? “Holy water from the Jordan River“. “Dirt, sand, or rocks from Jerusalem the holy city“. Stop and ask, what did Jesus do, did He use these types of tactics? It is time for a Spiritual change. God’s word should be free of charge via any source. Using God’s word for profit??? Do you spend more time reading books that tell you what the Bible says or means than you do reading the Bible? I am not against ministers creating spiritual materials. 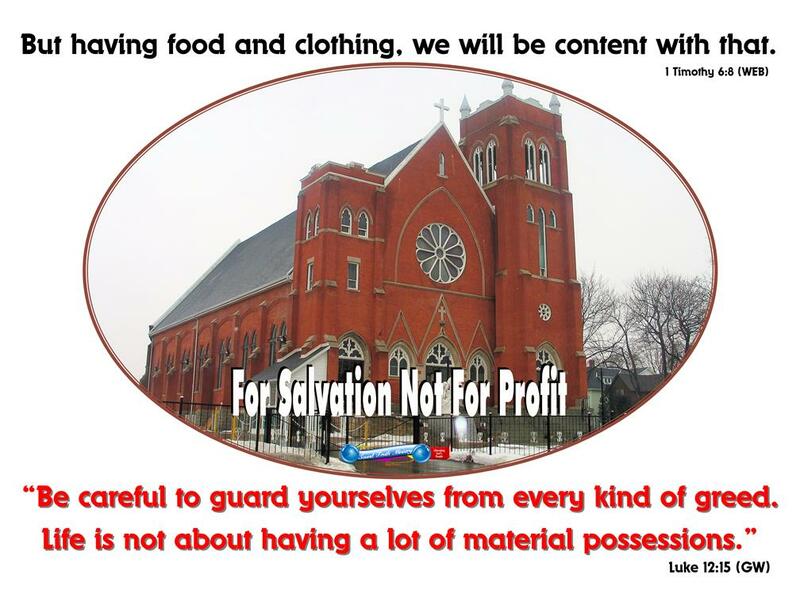 They can aid many in spiritual growth but I do question the sale of these goods for profit. Modern technology makes it possible to avail these items free of charge. Why not put the videos on YouTube or other free social media sites? Put the books on booksie or other free online book publishing sites. My choice is to follow Paul’s example, your Spiritual growth is enough payment, we do not and will not ask for your money. Some ministers claim, “church is a business”, I do not recall reading anything in Scripture that supports this. By definition, a business is “the activity of providing goods and services for money typically to make a profit”. 1 Timothy 6:5 warns against thinking godliness (serving God) is a way to gain wealth—make a profit. They have “corrupt minds” and are “destitute of the truth”. Beware of the prosperity by faith, word of faith or other ‘movements’ that promote or emphasize financial prosperity and wealth using the Scriptures to support their lifestyle. As you grow in the knowledge of God and His word, you will not easily be fooled or deceived by false teachers. ⇒ Please read and study 1 Timothy 6:3-10; Isaiah 56:9-12 (focus on verse 11); 1 Timothy 3:1-7 (focus on verse 3); Titus 1:10-16 (focus on verse 11); 2 Peter 2:1-3, 15 (be sure to scroll down to verse 15); 1 John 4:1-6. A church is not a business and must not be a for-profit entity shielded by non-profit status. Preachers living in 10,000 sq ft. homes (and larger), collecting outrageous salaries and other extravagant material things. This is nothing but greed and excessive living. They call it living in abundance or abundant life amongst other things. This concept ignores Scriptures that say it is the fruit of the flesh, Galatians 5:19, known as lasciviousness, from the Greek word ἀσέλγεια aselgeia meaning excess, outrageousness or lewdness. In Mark 7:22 Jesus says it defiles; Ephesians 4:19 and 1 Peter 4:3 help us to know it is not part of the born-again way of life. 2 Peter 2:2 refers to this false teaching as “pernicious ways” (same as lasciviousness). ⇒ For more detail read Mark 7:1-23; Luke 12:22-34; Romans 13:11-14; Ephesians 4:17-24; 1 Peter 4:1-7; 2 Peter 2:1-3; 2 Peter 2:18-22; Jude 1:3-4. 1 Corinthians 5:9-13 I wrote in a letter to you not to keep company with fornicators. 10 Yet you cannot completely avoid the fornicators of this world, nor the greedy persons, nor cheaters and robbers, nor those who worship idols. To do so you would have to leave this world. 11 I wrote you not to keep company with any man who is called a brother who is a fornicator, or who is greedy, or who worships idols, or constantly gets drunk, or cheats people. Do not even eat with such a person. Sound Truth Ministry offers a different approach. Your time, to read/study, and give feedback is all we ask! Learn to worship and serve God in Spirit and in truth not because you have to, but because you love the Lord and want to do His will. Worshiping and serving God should not be merely a routine, habit or obligation. It is a way of life, a Spiritual life. You cannot buy your way into heaven. Nor do you have to pay God—your heavenly Father to get what He has in store for you. Matthew 7:7-12 Ask, and it shall be given to you; seek, and you shall find; knock, and it shall be opened to you: 8 For every one who asks receives; and he who seeks finds; and to him who knocks it shall be opened. 9 Or what man is there among you, whom, if his son asks for bread, will give him a stone? 10 Or if he asks for a fish, will give him a serpent? Our focus is salvation—the saving of your soul—and your Spiritual growth using the word of God to make God’s plan for you—child of God—clear. We also help those who are called to teach, learn how to teach others. What does this mean? Simply put we must learn to use the Spirit to teach us how to use the word to explain and understand the word. That is the only way we unlearn how to depend on someone else to help us understand the word. God has blessed me with the ability to make a lot of money, but that would not fulfill His purpose. It would take away from the time I now have and use to study, document, and teach. I will cover this in-depth at a later time. At some point in your life, someone (more than likely one or both of your parents) taught you how to do basic things. How to eat, dress, groom, read, spell… Eventually, you no longer required them to help you. To get your natural education you started out with a teacher. That teacher was like a general practitioner not specializing in any particular area. You learned all you could from that teacher and went to other general teachers as you progressed. Eventually, you started learning from teachers who specialized in certain subjects, e.g., math, English, history, etc. Each taught you how to do things at a different level, including how to study. At some point, if you continued to learn you no longer required the teacher to guide you. As a child of God, you should strive to follow the examples of Christ. When we meet certain challenges in this life the question is not merely “what would Jesus do” we do not always know the answer. The Bible does help us know, what DID Jesus do! The short and simple truth is He taught His followers not only to understand but how to teach others… What did His apostles do? 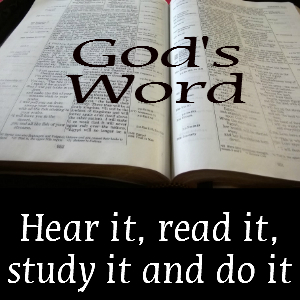 The bible does give the answers, read it, study it, get to know it and live by it! Unfortunately, very few spiritual teachers teach you how to study or how to use the Spirit to teach you. Have you ever wondered why? Pray about it if you need to. Fortunately, as long as the internet is available, the Bible studies, lessons and other material will be here at least through 2024. God blessed us to pay for 10 years, I smile to think that we did not have to ask for money from anyone. He provided all that we need to fulfill His purpose, including the knowledge of web and graphic dezign (T&T Dezignz; not misspelled) as well as the equipment to create everything that is Sound Truth Ministry (stministry.com). I thank God every day for His provisions, love, and care. I look forward to someday soon creating video lessons and have them posted on the internet for you my friends. My prayer is that your Spiritual growth continues, someone planted the seed, another watered, but it is God who makes us grow, I pray that you grow in love and grace, in wisdom and knowledge of our Lord. I pray that you grow strong in the Lord and the power of His might, in Jesus name, Amen. My dear friends, may God continue to give you everything you need according to His riches in glory by Christ Jesus—or did He already do that when you received the Holy Spirit? Be blessed, Tim. (ERV) Taken from the HOLY BIBLE: EASY-TO-READ VERSION © 2001 by World Bible Translation Center, Inc. and used by permission. || (NIRV) Scriptures taken from the Holy Bible, New International Reader’s Version®, NIrV® Copyright © 1995, 1996, 1998 by Biblica, Inc.™ Used by permission of Zondervan. 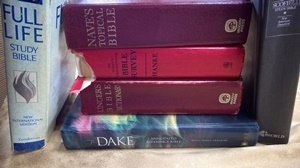 www.zondervan.com The “NIrV” and “New International Reader’s Version” are trademarks registered in the United States Patent and Trademark Office by Biblica, Inc.™ || Scripture quotations marked (NLT) are taken from the Holy Bible, New Living Translation, copyright ©1996, 2004, 2007, 2013 by Tyndale House Foundation. Used by permission of Tyndale House Publishers, Inc., Carol Stream, Illinois 60188. All rights reserved. || (NSB) The New Simplified Bible may be quoted without express written permission of the publisher. Please give credit to the New Simplified Bible when quoting from it. New Simplified Bible. All Rights Reserved Worldwide. Copyright (c) 2003. || (SENT) copyright 2009 J. Webb Mealy, All Rights Reserved.